Thanks for the shout-out, I’m honored! Where’s the next stop in your tour? My girlfriend and I will be doing our Cali (wine) trip again this year, we’re gonna start in LA and then go to Santa Barbara, Paso Robles, etc., so maybe I’ll look you guys up and we can do some slurping. Thanks – can I tell you how stoked I am that I got my very own black & white taster icon? That’s awesome!!! Jason: That would be awesome. When and for how long will you be in LA? 1WineDude: Glad you liked it and we are very stoked to have you be our 3rd taster. Cheers! Thinking early June, although nothing is set in stone yet. You guys rock, keep up the good work on the blog. Total Rock and Roll guys! Love it! Can’t wait to see what the great state of Washington brings. I think this journey will take you to some great heights, surprises, and depths of tastlessness (bad taste). Great read! I can’t wait for next week! Also sounds like I need to hunt out these bottles in LA. Mel.., err, MFree, Do you and Dav.., DFree want to be our guest tasters this week for the Traminette? We need to taste it either tonight or tomorrow and would love to have you guys taste it with us. 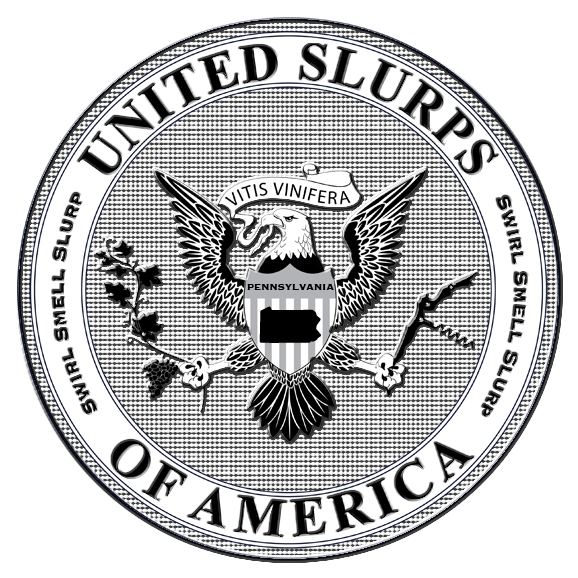 Love the idea of U.Slurps.A and can’t wait to see what happens when you hit the MidWest. Great vibe, cool look, and nice content. I’m glad I found your blog. Thanks a lot, Scott for your nice words. I just checked out your own wine blog too–nice work. I chuckled a bit about Silverlake Wine. It’s a fave shop of both of ours and up until a week ago, my old neighborhood. Sometimes the crowd can be a bit much during tastings, but the staff really are fantastic: low key, easy to talk to, and knowledgeable. Try it out again. I promise I will try it again. Like I said two different staff came and chatted with us while we were there and seemed great. The selection of wine was interesting and intriguing also. I just tend to be more of a Pasadena-speed kind of guy (you can read that as ‘boring’). The other 46 states are doing some great things! The quality continues to amaze me and it’s only a matter of time, not if, when people begin to take note. Cheers!